From the elegant dining rooms of England to backyard summer fun, tea parties are a magical part of life. 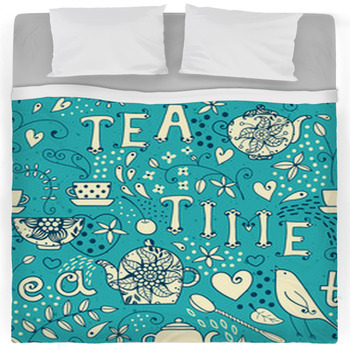 Our tea party bedding includes designs for kids that show illustrated children and their imaginary friends drinking from tiny tea kettles. 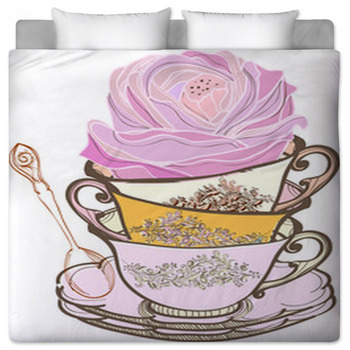 Other comforters are patterned with photo images of ornate tea glasses and gourmet pastries or artistic and retro depictions of dainty tea parties. 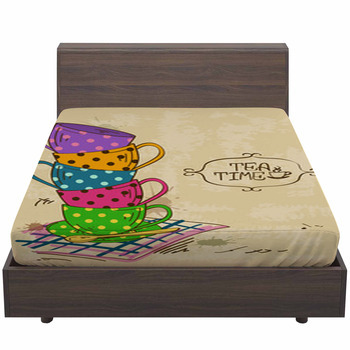 For your guest room, choose a futon cover that brings the relaxed joy of an afternoon tea party in the garden into your home. 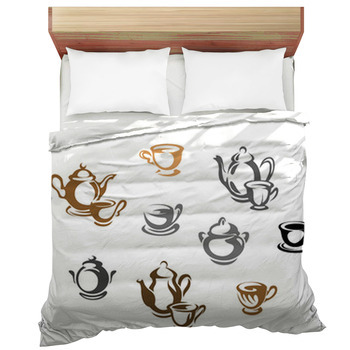 This tea party bedding is designed with a photograph of two white mugs of tea, a white porcelain teapot and two slices of rich and sweet cakes laid out on a brown wooden table. Behind the table, you can see pink flowers emerging from green bushes and trees in the garden that shines beneath a bright blue midday sky on your futon cover. 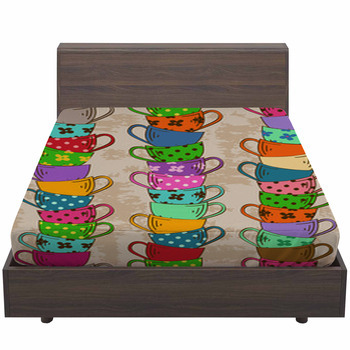 For your son, we have bed sheets that feature his favorite part of a tea party: dessert. 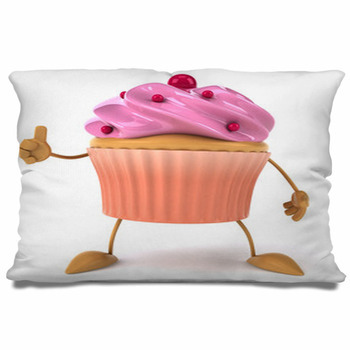 A chocolate frosted cupcake topped with turquoise, lavender and yellow candy sprinkles, and this dessert is made even more exciting by drawing it doing a cartwheel on cartoon hands and feet. 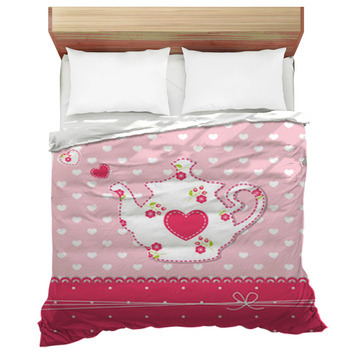 Your little girl will adore a comforter that pictures a pink themed tea set. A pink tea kettle adorned with white flowers is shown beside a matching mug, as well as a pink frosting covered slice of cake. 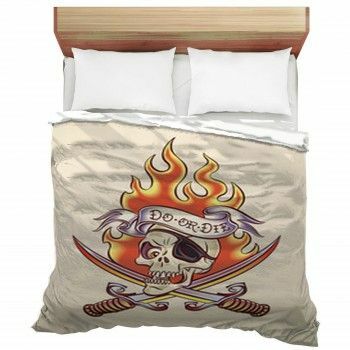 For your master bedroom, bring back the height of 50s elegance and charm with a duvet cover that displays a pair of classy ladies illustrated as black silhouettes dressed in polka dotted purple or red summer dresses. These girls are sipping from tiny tea cups at an outdoor cafe beautifully designed with varying shades of gray. 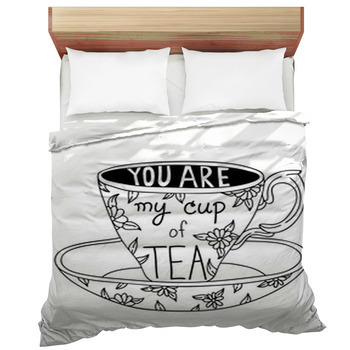 Decorate with these and other patterns of tea spoons, coffee cakes, croissants and pies by adding our tea party themed wall art and pillows.